comprehensive range of industrial and commercial equipment." ADCENG manufactures its own range of brass fittings, pumps, vapourisers, manifolds and regulator assemblies, and in an alliance with another South African company, Khompro, produces GCEE cylinder valves, regulators and adaptors, which conform to various SANS and international standards. It also provides a re-manufacturing service for road-tanker and rail tank car relief valves. The company represents several world-renowned gas products brands such as Actaris, Rego, Corken, Ransome, Cremonini and Smith Precision, among others – not to mention the Khompro range. 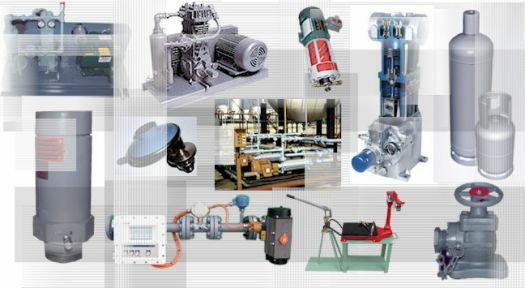 ADCENG provides carousel cylinder plants, modular filling plants, central reticulation systems, telemetry and fire protection on a turnkey basis. The revalidation of plant and equipment and the conversion of motor vehicle fleets and forklift trucks to LPG as a fuel source are also pursued by the company. Equipment for road transport and rail car systems are also offered.